THE PERFECT HEARTWARMING READ for THE NEW YEAR . 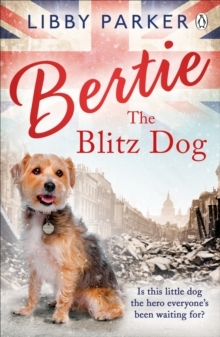 . . As bombs rain from the skies, can Bertie the Blitz dog find a safe home? Pampered pooch Bertie's owner has passed away. Cold, alone and scared, he's now a stray on London's streets. With a terrible war on, the city is bombed nightly. While rationing has left people starving. It is a dangerous time to have four legs and no owner. So when Bertie meets one special little boy, he thinks he has a chance to find a new home and happiness amidst the rubble. But Bertie - a small dog with the very big heart - knows it'll take all his courage to keep himself and his new friends safe . . . Hopeful, heart-warming and fun, Bertie the Blitz Dog is perfect for fans of Felix the Railway Cat and The Nightingale Christmas Show, Donna Douglas.